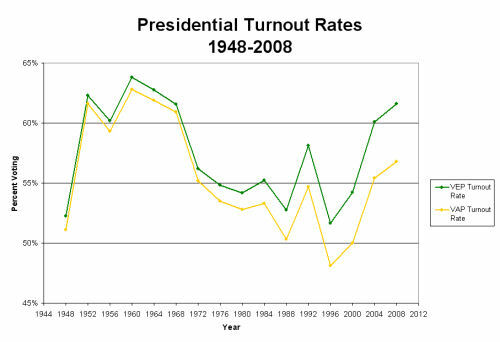 George Mason University, in it’s United States Elections Project also illustrates presidential voter turnout rates. 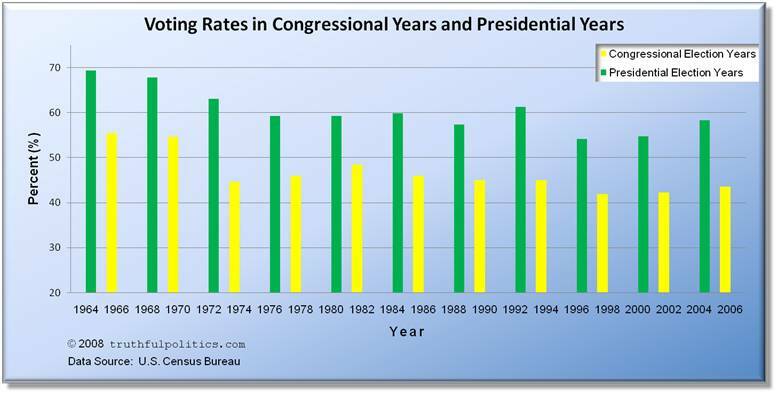 VEP stands for voting-eligible population and is the percentage of those eligible to vote to those that do vote. For additional information, click on United States Elections Project. 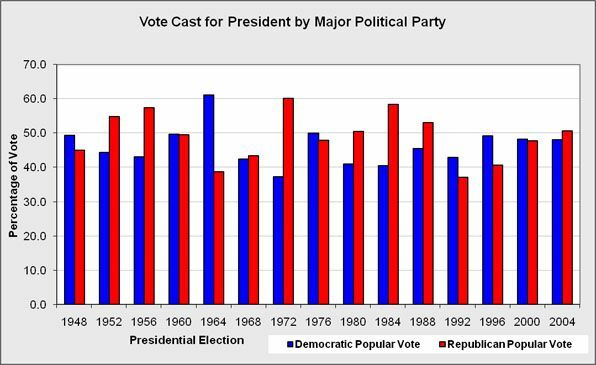 For additional information, click on Vote Cast for President by Major Political Party.